The International Forensic Research Institute (IFRI) at Florida International University (FIU) has been a leader in forensic science research since its founding in 1997. More than 10 active faculty researchers in the Department of Chemistry and Biochemistry and Department of Biological Sciences participate in IFRI and are engaged in 19 active research projects. The IFRI faculty and students published 34 peer-reviewed papers and presented more than 100 oral and poster presentations in 2014. Two patents were awarded in 2014 and several other new provisional patent applications continue to grow the IP portfolio. The IFRI coordinates FEPAC accredited academic programs at the undergraduate and graduate level and houses one of the largest Ph.D. programs in Forensic Chemistry and in Forensic Biology in the U.S.A. with almost 50 Ph.D. students. The goals of the new NSF-I/UCRC research site are to bring together industrial partners (including the end-user community) and academic researchers with an aim to develop, implement and commercialize new tools that benefit the national forensic science enterprise. The new NSF-I/UCRC will leverage the existing research portfolio at FIU (~ $5 million dollars in active funding) and state-of-the-art research laboratory facilities in toxicology, material sciences, and forensic DNA analysis. José R. Almirall is a Professor in the Departiment of Chemistry and Biochemistry and Director of the International Forensic Research Institute at Florida International University. He was a practicing forensic scientist at the Miami-Dade Police Department Crime Laboratory for 12 years, where he testified in over 100 criminal cases in state and federal courts prior to his academic appointment at FIU in 1998. Professor Almirall has authored one book and 129 peer-reviewed scientific publications in the field of analytical and forensic chemistry and presented ~ 650 papers and workshops in the U.S., Europe, Central and South America, Australia, New Zealand, Japan and South Africa. 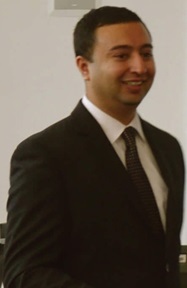 The interests of Prof. Almirall’s research group include fundamental analytical chemistry and the development of analytical chemistry tools for use in forensic science including materials analyses using LA-ICP-MS and LIBS, drug and explosives detection by a variety of methods and the interpretation of forensic evidence that leads to quantitative and objective descriptions of the strength of chemical data in forensic casework. He has mentored 10 post-doctoral fellows and visiting scientists, 27 PhD and 21 MS students in Chemistry research. His research group has filed several disclosures and received four (4) patents from technology developed at FIU and also received ~ $ 8 million in research funding from federal agencies such as the NSF, NIST, DHS, DoD, NIJ, TSWG and from industry sources. Prof. Almirall is a Fellow of the American Academy of Forensic Sciences (AAFS), the founding chairman of the Forensic Science Education Programs Accreditation Commission (FEPAC) of the AAFS, past Chair of the SWGMAT Glass subgroup, a member of the editorial board of the Journal of Forensic Sciences and Editor-in-Chief of Forensic Chemistry, an Elsevier journal. He was appointed to the Scientific Advisory Committee of the Commonwealth of Virginia by the Governor of Virginia and served in that capacity for 10 years. He also serves as a consultant to the United Nations Office on Drugs and Crime (UNODC) and to the International Atomic Energy Agency (IAEA) on the forensic analysis of materials. He was recently (2015) appointed to serve on the Forensic Science Standards Board (FSSB) of the NIST-sponsored Organization of Scientific Area Committees (OSAC) and serves as chair of the Chemistry and Instrumental Analysis SAC of the OSAC. He chaired an AAAS Fire Scene Investigation working group that recently published a report resulting from the work of the group. Prof. Almirall is interested in commercializing technology developed in his laboratory and has started a company (AirChemistry, LLC) for this purpose. He was an NSF I-Corps awardee (2015) and the PI for the NSF IUCRC CARFS Research Site Award to FIU. Development and application of analytical chemistry tools to enhance the value of scientific evidence including the improvement of the interpretation of data derived from the analysis of evidence. Detection and identification of organic compounds of forensic interest such as controlled substances and explosives in the field or through use of field-portable detectors such as Ion Mobility Spectrometers. Coupling of portable sampling to detection/analysis of odor compounds of drugs, explosives, and other volatiles. Development of methodology for the characterization of materials using elemental analysis, specifically the determination of ultra-trace quantities of metals in glass and other matrices using LA-ICP-MS, u-XRF and LIBS and organic and inorganic characterization of trace evidence. Development of a LIBS Database for the Forensic Interpretation of Glass Evidence: The proposed project aims to standardize the analysis and interpretation of glass evidence using Laser-Induced Breakdown Spectroscopy (LIBS). A parallel study involving the analysis of 420 vehicle glass samples using Laser Ablation-Inductively Coupled Plasma-Mass Spectrometry (LA-ICP-MS) is currently underway in our research group. Preliminary results indicate that a likelihood ratio approach to evidence interpretation, through the use of a LA-ICP-MS glass database, yields low error rates for the assignment of the weight of glass evidence. However, LA-ICP-MS is a costly, complex analytical technique and may be impractical to implement in every forensic laboratory for routine casework. This project aims to demonstrate that LIBS may provide an inexpensive alternative that yields comparable discrimination power to LA-ICP-MS for the elemental analysis of vehicle glass comparisons. The likelihood ratio provides a continuous numerical, quantitative and objective, assessment of evidence interpretation. However, the estimation of a likelihood ratio requires a database. At Florida International University (FIU), a large vehicle glass collection of up to 538 samples is available in order to generate a LIBS glass database to be used for likelihood ratio estimates (420 of which have already been analyzed by LA-ICP-MS). The overall aims of this proposal are to a) develop a methodology for the quantitative analysis of glass using LIBS, b) compare the analytical figures of merit between LIBS and LA-ICP-MS, c) generate a LIBS glass database of the 420 samples, d) calculate likelihood ratios based on the database, and e) establish a standardized methodology for the analysis and interpretation of glass evidence using LIBS. Dynamic Air Sampling and Analysis of Gasoline using CMV-DART-qTOF-MS (with Dr. Hall, NEU): Equilibrium sampling of volatile organic compounds (VOCs) from fire debris using an FIU proprietary technology, Capillary Microextractor of Volatiles (CMV) is coupled to DART-qTOF-MS to detect biomarkers of gasoline. VOCs sampled and preconcentrated on the CMV device are thermally desorbed using a DART interface coupled to qTOF-MS. Data analysis routines are used to identify the biomarkers without the need for a separation step. The CMV is composed of PDMS sorbent-coated glass microfibers with an ultra-high surface area that can adsorb volatiles when air is dynamically sampled through the device. The CMV is small (2cm x 2mm), inexpensive and very easy to use to sample and pre-concentrate sub-ng quantities of semivolatile organic compounds (SVOCs) characteristic of gasoline biomarkers, from air, in less than 1 minute. The CMV is coupled to a DART source for gasoline analysis, for the first time. Kenneth G. Furton Ph.D, is professor of chemistry and biochemistry at Florida International University where he also serves as Provost, Executive Vice President and Chief Operating Officer. He has made important contributions to inventions and innovation in detection technologies including human scent identification. He holds eight U.S. patents and has numerous additional patents pending and is a founder of an FIU startup company Innovative Detection Concepts, Inc. he is the author or co-author of more than 800 peer-reviewed articles, books, book chapters and conference presentations. Furton is an elected fellow of the National Academy of Inventors, American Academy of Forensic Sciences, an ACS member, and chairs the Dogs and Sensors subcommittee of OSAC (Organization of Scientific Area Committees). His research projects have been continuously funded for more than two decades, totaling more than $13 million in external funding. He has shared his expertise in forensic science through hundreds of invited talks nationally and internationally and has testified as an expert witness in dozens of state and federal trials. Advanced Human Scent Identification: A cross-disciplinary study using SPME-GC/MS VOC analyses and Next Generation DNA sequencing techniques for increasing the probative value of human scent evidence (with Dr. Mills, FIU): The “volatilome” of human scent is closely correlated to the skin microbiome ( Verhulst et al, 2010). It has been stated (Shelley et al, 1953) that human sweat has no odor until the skin microbiota begins to break down non-volatile compounds into volatile compounds that are characteristic of human ‘scent’. For example, common microflora such as Corynebacterium spp, Bacillus spp and others are responsible for transforming long-chain fatty acids into short and medium chained products that can be further metabolized and volatilized–volatiles that is often associated with malodor. Skin microbiota, including fungi and viruses, occupy dynamic but unique niches within and on the human body (Schommer and Gallo, 2013). This ‘uniqueness’ can be exploited and applied to forensic identification as was shown in work by Fierer et al in 2010 when they explored the microbiomes of touched samples. Using pyrosequencing technology they demonstrated that only 13% of the skin microbes are common between individuals. They swabbed computer keyboards and extracted the DNA, sequenced and found that the bacterial communities on the keyboards were able to be associated with particular individuals, thus demonstrating the bacterial community of an individual is unique. With the advances in sequencing technology and “multi-tagged barcoding”, it is now possible to simultaneously sequence multiple samples and multiple taxa and/or genes all at the same time. Thus, a multi-taxon, multi-gene, targeted amplicon approach can be applied to characterize the microbiota profiles of an individual that would corroborate and correlate with human scent profiles. A goal of this proposal will be to collect microbiome samples at the same location and time as samples for VOC analyses, perform NexGen sequencing using multi-tagged, targeted amplicon analyses. The strength of this proposal comes in the combination of the techniques, VOC analyses + microbiome analyses that can further discriminate among individuals. Dr. DeEtta (Dee) Mills is an Associate Professor in the Department of Biological Sciences and current Director of the Forensic DNA Profiling Facility (FDPF) within the International Forensic Research Institute (IFRI) at Florida International University. Dr. Mills is also the Graduate Program Director for the MS in Forensic Sciences, a FEPAC accredited program. Research areas of expertise are in DNA separation methods, non-human DNA profiling, development of novel methods for DNA profiling as well as expertise in the soil microbiome for soil provenance and forensic applications. Funding sources have included NSF (novel separation methods), NIJ (work force training grant), USDA-FS (equine DNA profiling), FBI (trace epithelial cell collection), National Geo-spatial Intelligence Agency (soil forensics), and Florida Department of Agriculture and Consumer Services (fungal pathogen detection). Dr. Mills and her students have filed two patents (vacuum collection device for trace evidence; pathogen gold nanoparticle biosensor). 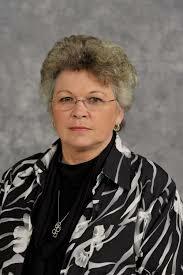 Dr. Mills received her BS in Biology (Honors, Cell Biology) from the University of Kansas, Lawrence, KS in 1988. From 1989-1991, she worked at the Smithsonian Tropical Research Institute, Panama City, Panama, as a senior research assistant that studied the evolutionary divergence of alpheids (snapping shrimp) across the Isthmus of Panama. She earned an MS in Biology in 1993 from Texas Christian University. From 1994-1996, she worked for the Radiation Biology Branch, FDA, Rockville, MD. Dr. Mills received her PhD from George Mason University in Fairfax, VA where she optimized several molecular tools to study the microbial community ecology and now applies those principles to forensic microbiology studies. She joined Florida International in 2001 and was awarded the prestigious NSF ADVANCE fellowship for women in 2004-2008. She was appointed as the Director of the Forensic DNA Profiling Facility (FDPF) in 2004. Dr. Mills has been awarded > $1.8M in grants/contracts that have spanned several different disciplines but are based in molecular microbiology and forensic biology. Dr. Mills has assisted both Miami-Dade and Broward crime laboratories with equine DNA typing in horse slaughtering cases that have taken place in the last few years in S Florida. The emphasis of her research and within the Facility is to continue to develop new and novel techniques for forensics. For example, with funding from the National Geospatial Intelligence Agency, she developed a novel approach for soil forensics where soil microbiota DNA profiles are able to provide, with high accuracy, provenance of a soil sample. Her students are now optimizing a multi-tagged, multi-taxon method for soil forensics/provenance using NexGen sequencing technology and bioinformatics classification algorithms. Soil Provenance and Forensics Using Next Generation Sequencing Techniques for Soil Metagenomic Profiling: Soil has provided valuable clues in forensic investigations because of the information content it contains, both abiotic and biotic. Molecular techniques used to assay the soil’s inhabitants have contributed to the ecological knowledge base and have proven useful for soil characterization in the forensic field. This research aims to use soil metagenomic profiling for soil provenance and forensics. This research builds on FIU’s previously developed amplicon length profiling method using bacteria, fungi, Archaea, and plant markers, analogous to human DNA profiling—increase the number of markers, increases the discrimination value. These biotic soil ‘fingerprints’, when processed using bioinformatics classification algorithms, are unique enough that a sample from an unknown origin can be classified with high accuracy to a particular site or soil type and provide even greater soil provenance resolution and probative value to reference soil samples from areas of interest, as well as those of unknown origin. Advanced Human Scent Identification: A cross-disciplinary study using SPME-GC/MS VOC analyses and Next Generation DNA sequencing techniques for increasing the probative value of human scent evidence (with Dr. Furton): Please see above on Dr. Furton’s research description. Anthony P. DeCaprio is an Associate Professor in the Department of Chemistry and Biochemistry at Florida International University. Dr. DeCaprio also directs the Forensic & Analytical Toxicology Facility (FATF) at FIU, a university recharge facility that provides research support and services to FIU and other investigators in the area of analytical/clinical/forensic toxicology. He also directs the FEPAC-accredited undergraduate Forensic Science Certificate program at FIU. Dr. DeCaprio is a toxicologist with extensive research experience in neurotoxicology and the chemical analysis of drugs, environmental contaminants, and other xenobiotics in human specimens using MS-based techniques. He has published more than 80 peer-reviewed research articles and book chapters in addition to editing the book “Toxicologic Biomarkers” and has made over 100 presentations at research conferences. Dr. DeCaprio received a B.S. in Biology from Rensselaer Polytechnic Institute and a Ph.D. in Toxicology from Albany Medical College. He previously worked as a Research Scientist with the New York State Department of Health Wadsworth Laboratories and served in academic positions at UAlbany and UMass Amherst. Currently, his research program is concentrated in the area of human exposure assessment with the following specific projects underway: 1) Development and validation of methods for comprehensive mass spectrometric based analysis of xenobiotics (i.e., drugs of abuse, pharmaceuticals, and environmental pollutants) in human specimens and the application of such methods in forensic, clinical, and epidemiological studies 2) Study of covalent interactions of reactive drugs and metabolites with biological proteins and their potential application as longer-term biomarkers of drug exposure, and 3) Development of synthetic antibody technologies for rapid preparation of drug specific probes for immunoassays. In particular, Dr. DeCaprio’s research at FIU has focused on the chemistry and analysis of “novel psychoactive substances”. He has been PI on grants from NIEHS, NCI, NIOSH, ATSDR, and the National Institute of Justice, in addition to developing major collaborations with industry partners. Dr. DeCaprio’s areas of research interest include the use of biomonitoring and biomarkers in forensic toxicology and human exposure assessment, methods for ultra-trace analysis of drugs, pollutants, and their metabolites, and investigation of protein adducts as exposure/risk biomarkers and as mediators of the mechanism of toxicity of pollutants and drugs. Systematic Comparison of Analytical Parameters in Forensic Hair Analysis: Blood and urine are the most commonly tested biological matrices for detecting exposure to drugs and other compounds of interest in forensic toxicology. Alternatively, forensic analysis of hair allows for retrospective biomonitoring of drug use or exposure. While clearly useful for this purpose, hair analysis does have technical and interpretive challenges. As a complex solid sample matrix, hair requires specialized pretreatment measures, including washing, cutting and/or pulverization, and some type of extraction procedure to remove the drug from the hair matrix components to allow for analysis. Pretreatment steps in the analysis of drugs in human hair include decontamination, segmentation, extraction, and purification. Optimizing pretreatment/extraction is essential to accurately identify and quantify drugs present in a air sample. The Society of Hair Testing (SoHT) has made general recommendations on protocols for analysis, although the provide only general guidelines for analysis. While numerous methods and a large literature database exists for forensic hair analysis, such methods have not been systematically compared with regard to performance. The major goal of this project is to conduct a comprehensive comparative analysis of drug recovery from hair with different extraction methods. Optimized method(s) will be determined based on these results and will be applied to a set of 20 authentic hair specimens obtained from individuals in addiction rehabilitation programs. Bruce R. McCord is a Professor in the Department of Chemistry and Biochemistry at Florida International University. He received his BS with Honors from the College of William and Mary and a PhD in Analytical Chemistry from the University of Wisconsin-Madison. Prior to entering academia, he worked briefly as an industrial chemist and then 9 years as a Research Chemist at the FBI Laboratory’s Forensic Science Research and Training Center. Since then he has held academic positions at Ohio University and his current professorship at FIU. Dr. McCord has published over 100 peer reviewed publications and 13 book chapters in forensic genetics, toxicology and explosives detection. His recent research interests include applications of microfluidics and nanotechnology in forensic science. He has given numerous presentations, workshops and webinars in the USA, Europe, Australia and Asia. He has mentored 20 post-doctoral fellows and visiting scientists, 22 PhD and 15 MS students in forensic science related projects. 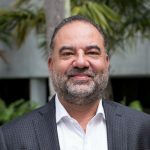 His research group has filed five patents from technology developed at FIU and has received over 5.7 million dollars in research funding from federal agencies such as the NIJ, NSF, NIH, DHS, and TSWG, as well as various industrial sources. Prof. McCord is the Deputy Editor of the Journal Electrophoresis, and a member of the Editorial Boards of the Journal of Forensic Sciences and the Journal of Forensic Chemistry. He is a current member of the Biological Methods subcommittees of the OSAC, and a member of the AAFS Opioid Committee. He has held positions as a member of the Forensic Science Advisory Board of North Carolina, the Forensic Science Programs Accreditation Commission of the AAFS, the Scientific Committee of the Latin American Symposium on Capillary Electrophoresis, and the Green Mountain DNA Conference. In 2008 he was presented with the Paul Kirk Award of the AAFS in recognition of his scientific contributions to the field of criminalistics. Dr. McCord is married with 3 children, 2 of whom are graduate students in chemistry. He is an avid jazz musician and windsurfer. Analytical/Forensic Chemistry, Studies in the application of chromatographic techniques in the analytical and forensic sciences. Examples include the development of novel methods for DNA analysis using capillary electrophoresis (CE) with soluble polymers and laser-induced fluorescence. Other work involves applications of PCR and CE in the study of degraded DNA. In the area of toxicological analysis, we use of microfluidic and other nano-techniques in the trace detection of drugs in biological fluids. We also have applied these tools for fundamental studies of DNA conductivity. Lastly, we utilize capillary electrophoresis and mass spectrometry in the analysis and detection of explosives residue. The Development of Surface-Enhanced Raman Spectroscopy as a Method for Toxicological Screening of Opioids: The current opioid crisis is taking a terrible toll with yearly increases in deaths due to overdose. However, these compounds can be difficult to detect. One problem in the analysis of these compounds is the continuing efforts of clandestine laboratories to modify the chemical composition of these drugs. Another problem is that the most common screening procedure, immunoassays, suffer from nonspecificity, often resulting in false negatives or poor sensitivity to drug analogs. Thus, better screening procedures are needed for the analysis of these compounds. We propose surface enhanced Raman detection as an alternative. In our process, the drug extract is mixed with a solution of nanoparticles and aggregating agents. The result is a rapid and specific determination of ng/mL levels of drugs. In this new project, we propose to develop an optimized methodology for the determination opioid analogs in urine and oral fluids. We believe this procedure will provide a quick screening tool that can detect multiple drug analogs and will provide structural information that is complementary to mass spectrometric detection. Dr. Schreiber Compo is an Associate Professor at Florida International University (FIU) and the Co-Director of their Legal Psychology Ph.D. program. She earned her Ph.D. at the University of Muenster, Germany and was awarded a postdoctoral fellowship by the German Academic Exchange Service to continue her research at FIU in Miami. Her research focuses on investigative interviewing and witness memory especially of vulnerable witnesses such as children or the intoxicated. She is focusing on potentially detrimental and beneficial interviewing techniques and their underlying cognitive and social mechanisms to improve the quality and quantity of witness and victim recall. She is further examining real-world interviewers’ perceptions, experiences, and behaviors and confirmatory bias in a variety of settings including witness and victim interviewing and forensic expertise. Dr. Schreiber Compo has worked with several law enforcement agencies on research and investigative interviewing training and has consulted in various legal cases. She has been an invited speaker on numerous occasions including the International Association of Forensic Toxicologists, the International Association of Chiefs of Police, the International Forensic Research Institute, the Miami-Dade Forensic Services Bureau, the Dade-County and Allegheny County Public Defender’s Office, the Texas Criminal Defense Attorneys Association, Research Unit for Criminal, Legal and Investigative Psychology at the University of Gothenburg in Sweden, Wofford College and Florida Atlantic University. She has published over 25 peer-reviewed articles, has (co) authored over 70 presentations at national and international conferences, is an Associate Editor for the journal ‘Applied Cognitive Psychology’, and on the editorial board of the APA journal Psychology, Public Policy and the Law. Her lab’s research has been funded by NIJ, NSF and the Swedish Research Council. Examining the potential for confirmation bias in the technical review process: Although forensic science plays a critical role in criminal investigations, recent analyses of DNA exonerations reveal that errors in forensic science are a contributing factor to wrongful convictions and “cognitive bias” as an underlying cause of such errors in forensic judgment (NAS, 2009). Cognitive bias is a group of systematic errors when processing and interpreting information. A person’s prior beliefs, motives, and situational context can influence how forensic evidence (e.g., fingerprint) is perceived and interpreted (Kassin et al., 2013). As all forensic science examinations involve some human processing and interpretation, understanding how human processing can influence forensic examination is critical to strong forensic evidence. Previous research on bias in fingerprint analysis has focused on a single examiner’s decision, largely ignoring the technical review step, which requires verification of a prior examiner’s decision by a second examiner (SWGFAST, 2013). Only a few controlled lab studies have examined this verification step using untrained (i.e., student) examiners but have used stimuli beyond students’ level of training (e.g., fingerprints; e.g., Kukucka & Kassin, 2016), limiting the generalizability of findings to real-world contexts. As a collaboration between the Miami-Dade Forensic Services Bureau (MDPD-FSB) and a research team of applied cognitive psychologists, the present study addresses these limitations by evaluating the potential for confirmatory bias in the verification stage of forensic examination using real-world stimuli appropriate for novice evaluators. This will allow the researchers to examine confirmatory bias in the verification process using both student and real-world participants in a controlled lab setting. Yi Xiao is an Associate Professor in the Department of Chemistry and Biochemistry at Florida International University (FIU). She was a postdoctoral fellow in both The Hebrew University of Jerusalem with Professor Itamar Willner from 2001 and 2004 and in the University of California Santa Barbara (UCSB) with Professors Alan Heeger and Kevin Plaxco from 2004 to 2007. In 2007, she was appointed as a research professor and worked with Professor Tom Soh in the Department of Materials and Department of Mechanical Engineering at UCSB. In 2011, she joined the Department of Chemistry and Biochemistry at FIU as a tenure-track assistant professor. In 2017, she was tenured as an associate professor. Professor Xiao has authored three book chapters, granted 5 patents, and published 68 peer-reviewed scientific papers in the fields of analytical and bio-analytical chemistry, materials science, and biotechnology. Since joining FIU, she has given 45 presentations at various national and international meetings and conferences. To date, her work has received more than 8200 citations with an H-index of 42. The interests of Prof. Xiao’s research group include engineering intelligent aptamers, developing innovative sensor-platforms with ultra-high sensitivity and specificity, and designing new SELEX technologies for isolating novel and functionalized aptamers for small-molecule targets. She has been working towards creating portable, commercially-available devices for applications such as environmental monitoring, drug screening, food safety, and diagnostics. She has mentored 7 postdocs, 7 PhD, and 1 MS students in Chemistry research. Her research group has received three patents from technologies developed at FIU and also received ~ $ 1 million in research funding from the NIJ and NIH. Prof. Xiao is a fellow of the American Chemical Society (ACS), Materials Research Society (MRS), American Association for the Advancement of Science (AAAS), and the American Society of Human Genetics (ASHG). Prof. Xiao has served on several departmental committees. She was also a session chair for the 2017 ACS FAME, a poster judge for the 2016 and 2017 ACS FAME, and a judge for the 2015 FIU GSAW. She has also been heavily involved in the research community as a reviewer for numerous peer-reviewed journals in the fields of chemistry, biomaterials and nanotechnologies, as well as a proposal reviewer for the Army Research Office. Use of biotechnologies to generate new biomaterials that combine with nanomaterials to develop amplified, robust and disposable biosensors for specific in vitro or in vivo sensing at point-of-care. Colorimetric aptamer-based assay for the specific, rapid and on-site detection of (-)-trans-∆9-tetrahydrocannabinol (THC) in breath condensate: The on-site detection of alcohol and drug exposure is of high importance for workplace drug testing and driving under the influence programs. The detection of compounds in the breath offers noninvasive sample collection for on-site drug testing. Currently, the on-site breath sampling method for substance abuse is the breathalyzer, used for the detection of alcohol. THC is the major psychoactive component of cannabis and serves as a biomarker for cannabis exposure in the breath. Although sampling techniques have been developed for the collection of THC in the breath, they are often processed in a lab using various chromatography and MS techniques, making the method unsuitable for on-site screening of cannabis abuse. To achieve the on-site identification of cannabis use in the breath, we will develop an aptamer-based colorimetric assay which can be directly applied to breath condensate and enable rapid detection using the naked-eye. Aptamers are single-stranded oligonucleotides capable of specifically binding to a target of interest. We propose to isolate a high-affinity DNA aptamer for THC via systematic enrichment of ligands by exponential enrichment (SELEX). The isolated THC aptamer will be split into two fragments and engineered into a highly target responsive cooperative-binding split aptamer (CBSA). A color readout will be achieved by modification of DNAzyme sequence on the CBSA. Specifically, binding of THC to CBSA will activate the DNAzyme to catalyze a colorimetric reaction, generating a color change from colorless to dark green and allowing for naked-eye detection in less than 15 minutes. Sara C. Zapico is an Instructor in the Department of Chemistry and Biochemistry and Facility Manager of the International Forensic Research Institute at Florida International University. She is also a Research Collaborator at the Anthropology Department from the National Museum of Natural History, Smithsonian Institution. She has been an Associate/Forensic Specialist at the International Committee of the Red Cross in Geneva, Switzerland. From 2012 to 2014 she was awarded with the Peter Buck Award Postdoctoral Fellowship from the Smithsonian Institution. She also carried out short-stays as Visiting Scientist at the Office of Chief Medical Examiner-City of New York, American Museum of Natural History, Department of Forensic Medicine from the Catholic University of Leuven, Belgium and Mercyhurst University. Likewise she has been an External Advisor in forensic cases for the Civil Guard in Spain and an Adjunct Professor for the Postgraduate course in Forensic Anthropology at University of Girona, Spain. Dr. C. Zapico has authored 18 peer-reviewed scientific publications and edited one book in the fields of forensic biochemistry, forensic anthropology and biomedical sciences and presented 35 papers in the U.S. and Europe. Her research interests focuses on the application of biochemical techniques to forensic anthropology issues like age-at-death estimation and the determination of post-mortem interval. She collaborates as a biostatistician in forensic anthropology and fingerprints projects. Dr. C. Zapico is an Associate Member of the American Academy of Forensic Sciences (AAFS), a Trainee of the American Society of Human Genetics (ASHG), a member of International Association of Coroners and Medical Examiners (IACME), a member of International Academy of Legal Medicine (IALM) and Forensic Anthropology Society in Europe (FASE). She has been a founding member of Españoles Científicos en USA (ECUSA, Spanish Scientists in the US). Application of Biochemistry techniques to Forensic Anthropology issues like age-at-death estimation and time-since-death. Biostatistics applied to Forensic Sciences. for age estimation. Towards the application of this technique to forensic anthropology, our preliminary study carried out in teeth demonstrated a strong correlation between the methylation levels of CpG islands of four aging-related genes and age, finding a difference between predicted and chronological age of five years. Supported by these previous results, our goal is to expand this project, through increasing the number of teeth samples and identifying epigenetic signatures in other aging-related genes, to finally improve the accuracy of age-at-death estimation in forensic anthropology context. Adeel obtained his Ph.D. in Chemistry on a theoretical chemistry track from Florida International University (FIU) in 2012 under Prof. Alexander Mebel. While there, he published in Proceedings of National Academy of Sciences (PNAS) and first-authored several peer-reviewed papers. He was also the recipient of the Presidential World’s Ahead Fellow at Commencement. After graduation, he was a postdoctoral research associate under Prof. Keiji Morokuma at Emory University in the Cherry L. Emerson Center for Scientific Computation. In 2015, he was awarded the Japan Promotion of Science (JSPS) Research Fellowship at the Fukui Institute for Fundamental Chemistry at Kyoto University. Then in 2016 to mid-2017, he was awarded the MIT Energy Initiative (MIT-EI) Fellowship at the Department of Chemical Engineering at Massachusets Institute of Technology (MIT) working in Prof. William H. Green’s group. Now as an Assistant Director at the CARFS FIU Research Site, alongside administrative roles, he is focusing on projects in Prof. Almirall’s group with the inclusion of theoretical support of chemical phenomena observed in the experimental laboratory setting, and method development and applications of data science strategies in forensic databases. Expertise lies in fundamental theoretical chemistry with electronic structure elucidation; chemical interactions and reaction mechanisms; thermochemistry, kinetics, and spectroscopy; and modeling. Support of experiments with a theoretical merit or standalone theoretical projects for consideration of future experiments. Skills include: fundamental [in]organic chemistry, data science, machine learning algorithms, Python programming language, unix administration and shell scripting. Development and applications of likelihood ratio quantification of glass database. Modeling of volatile organic compounds (VOCs) and semivolatile organic compounds (SVOCs) on functionalized compounds including saturated, unsaturated, and aromatic functional groups for analytes of interest on a Capillary Microextractor of Volatiles (CMV) scheme.